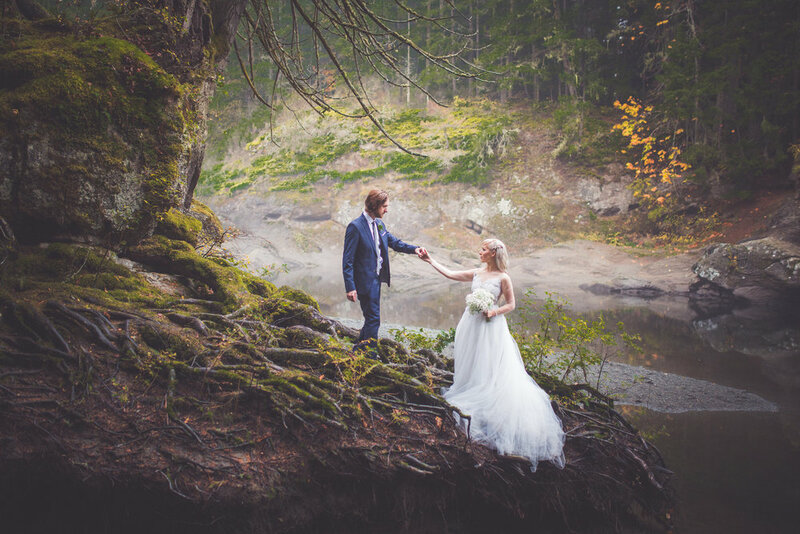 Vanessa & Evan had a wedding on the East Coast of Canada and upon returning home were desiring wedding portraits that encompassed some of the rugged scenic beauty found here on the west coast, their home. Reading the way Vanessa envisioned the shoot going had me immediately excited. What she dreamed of was exactly the things I love photographing so much. Lush forests, rivers, emotion & connections, lovers immersed in nature. And when we finally met? It was a dream. They felt like best friends & I couldn't be more in love with the images captured. Top Bridge Park in Parksville, BC is such a gem. Spend hours hiking the endless trails through the forest and along the river, or lay out a blanket and picnic on the rivers edge. In the summer, the area is filled with locals going for swim in the icy water.